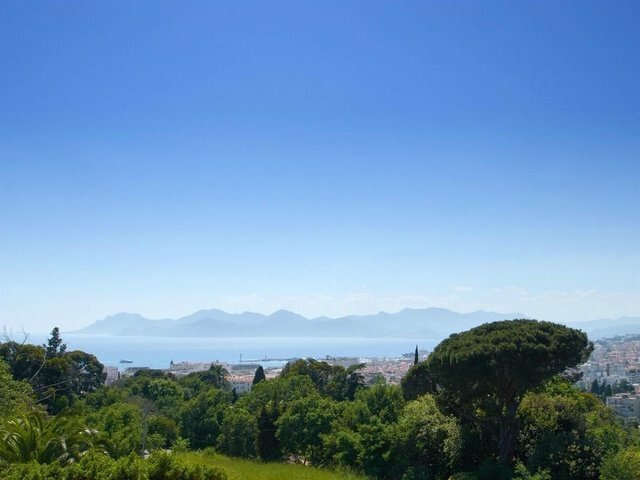 Villa - apartement for sale in Cannes Californie: Located in a charming gated estate, beautiful 'apartment-villa' overlooking Cannes and the sea, in a quiet and secured area enjoying beautiful views over the sea and the surrounding hills. This 135 sq.m property, rare on the market, mainly features a living room, 3 bedrooms with bathrooms, a kitchen, a laundry room, spacious terraces, carports and above all a private pool , all in perfect condition. A luxury property for sale, listed by Côte d'Azur Sotheby's International Realty, your luxury real estate in Cannes Californie.